Join this thriving retail center that boasts many national and regional retailers and restaurants. 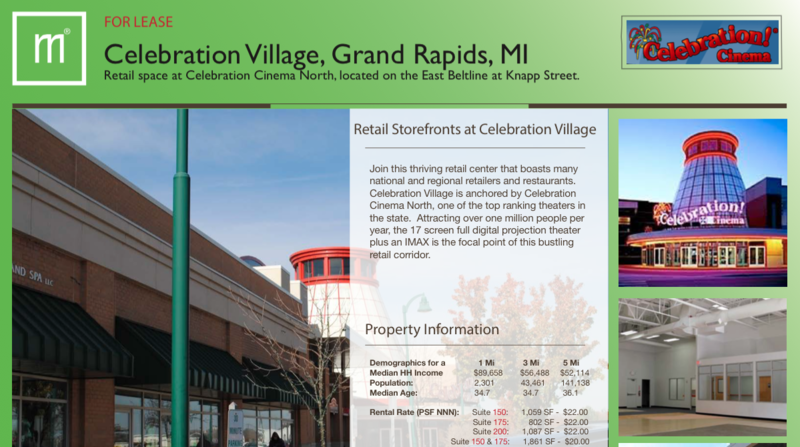 Celebration Village is anchored by Celebration Cinema North, one of the top ranking theaters in the state. Attracting over one million people per year, the 17 screen full digital projection theater plus an IMAX is the focal point of this bustling retail corridor.